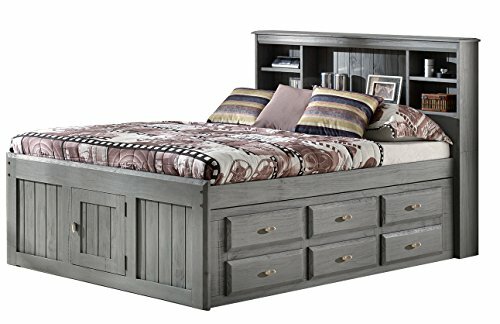 The Full Captains Bed provides loads of storage while taking up very little space. The headboard can serve as a nightstand with shelving to store books, remotes, a lamp and more! With three different options for under the bed; a six drawer unit, a three drawer unit with trundle, or twelve drawers, the Captain's bed is extremely functional.